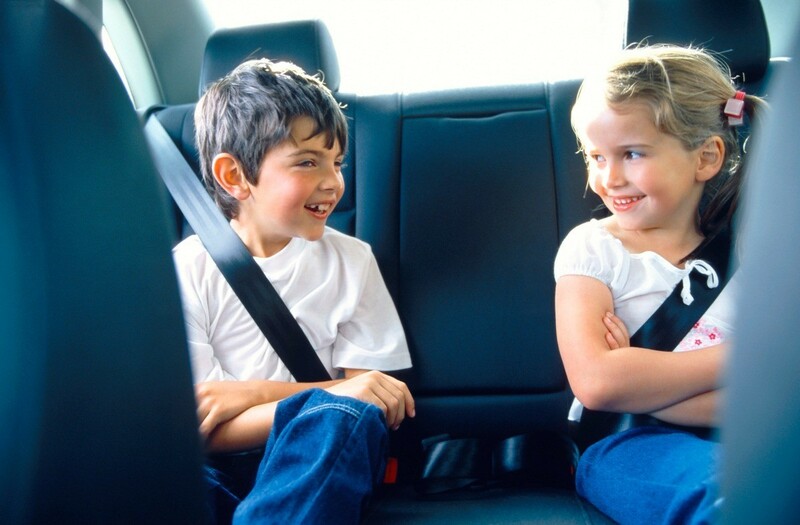 Road trips can be too long and uneventful for many children. This is a guide about road trip game ideas. Hitting the road with the kids means hours in the car listening to them complain about being bored. Well, never fear, the old games we used to play are still around and, to top it off, you can create some new car fun. Who needs the car video player or hand held games? Get ahold of an old road map; you can typically find an old atlas at a thrift store or second hand store in your area. With the map you can help your children to learn the capitals of each of the states, then work on their alphabetizing skills if they are old enough. Have them list the cities in alphabetical order. Do they want to be able to write down the information. Create a wipe board. All you need is a large old picture frame with the glass still in it, dry erase markers and a rag to wipe it clean. You can decorate up the frame with some old funnies from the newspaper or gift wrap that you have been saving. The kids can also play tic-tac-toe on the board, or the connect the dots game, they could even use it like a small lap table to eat off of. If you don't have an old one to use, or can't find one at the local thrift store, go to the nearest dollar store, you can find one for $1.00. Add on tax and it will be around $1.10 or so depending on your sales tax. Hit your local thrift store before your trip and stock up on some little items that the kids can keep and play with in the car. For example, little toy cars can be driven on their little play table, how about some building blocks, you don't have to keep many in the car for them to have fun with. How about a craft project? The kids can learn how to bead, sew, and oh, so much more while traveling. Remember you have their full attention, use it to your advantage. I used to save my change in the car in film containers, NOW I use other plastic containers (like from the gum you can get in the little plastic canisters). We had several games the kids enjoyed playing when they were younger and we were traveling. Most included winning money! One we called "Family Trivia". I would take a coin out of the container, they never knew what it would be, a penny, maybe a quarter, then I would ask a question about some piece of family history. Examples: "Which of the kids ate a beetle when they were little? ", "Which aunt has tattooed eyebrows? ", and "What was Grandma's maiden name?". Some of the questions were about our immediate family, some about grandparents, etc. It was a fun way to pass on family history with the kids! Another one we play is "Road Kill". And yes, it's as disgusting as it sounds! Again, we might play for all the change in the holder for this game. We would pick a distance, from point A to point B, and everyone would choose a number of how many dead critters they thought we would see between those points. Hey, I SAID it was disgusting, but it was a game that made the kids all laugh! Yet another, "Guess within a quarter, how many dollars worth of gas we would put in the gas tank when stopping for gas." Whoever was within quarter, won a dollar! And sometimes we would just have a guessing game as to how much change was in the coin container! If anyone was within a quarter, they won the entire amount! The kids LOVED that game! I hope you enjoy some of our silly games! Source: Bored kids and a mom who didn't want to hear "Are we there yet?" Smiles! When traveling long distance with children, keep them entertained by playing car baseball and the ride will go smooth.